The Lawn Manicurist is a locally owned family business. 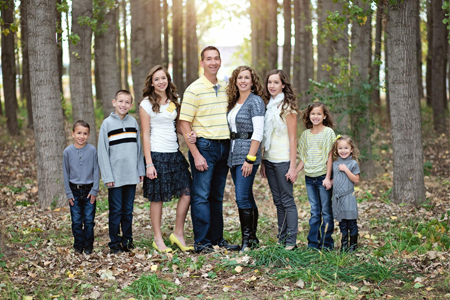 Mark and Donna Stettler were raised in Boise and live in Nampa, Idaho. 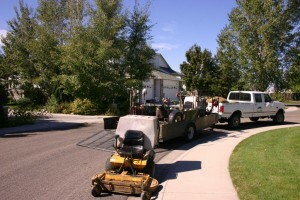 We have been in business here in the Treasure Valley for over 25 years. 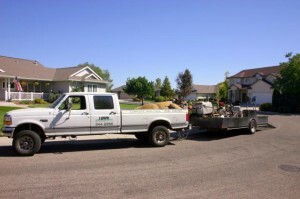 We started out as a basic mowing service for residential and commercial properties. Mark began mowing lawns at age 10 and this was the beginning of a profession in lawn care. By the time Marc went to college at BSU and met Donna it was a joint decision that they would go full time with basic mowing services for residential and small commercial properties. This eventually grew into a full service yard maintenance and pest control company. We have brought to our staff, managers and foremen, that have years of experience and have cared for 20+ acre associations. With our professional staff this has allowed us to expand into servicing any kind of property including large business complex’s, apartments and Home Owner Associations. As a company we have focused on educating ourselves in the fields of plant health, tree care, proper trimming techniques, spraying, plant disease, pest management and water management. We have built resources with our product suppliers that give us access to highly educated Phd’s in the field of plants and weeds and they have graciously made themselves available to us at any time for onsite consultations and help. Some of our licensing and qualifications include Law and Safety in the State of Idaho for spraying ornamental insecticides, ornamental herbicides, general pest and public health and safety. We also have back flow certification testing. We are highly skilled in the art and field of shrub trimming and tree trimming and are currently certifying members of our team as Arborist’s. The Lawn Manicurist is a debt free company with a large shop full of the highest rated equipment on the market ready for any size job. We also employ an ASE Certified mechanic to keep all of the equipment in top shape. We look forward to Manicuring all of your landscape needs!